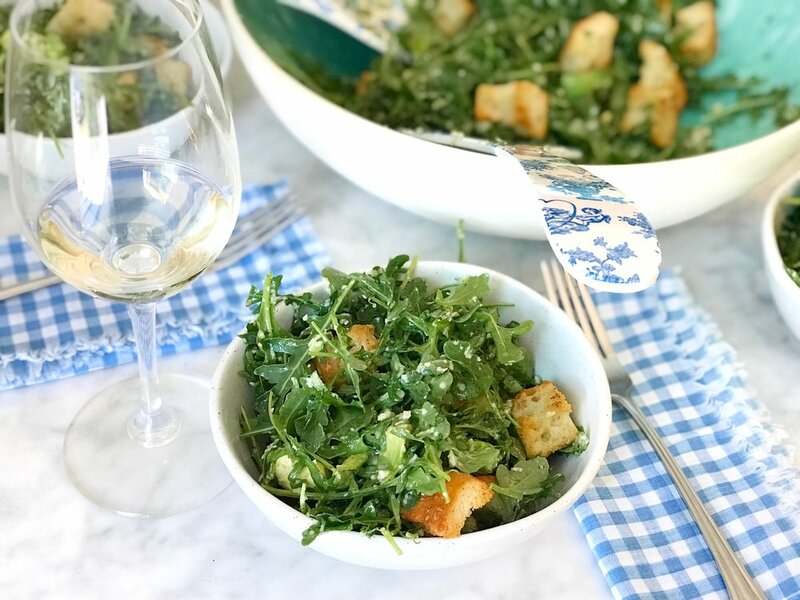 I’m not going to lie to you—this dish is heavily inspired by Yotam Ottolenghi’s recipe for Bon Appétit in April 2017. However, I make it so often and my peeps love it so much that it’s begun to feel like my own. It’s like when you borrow your friend’s sweater and get tons of compliments, so you decide to wear it one more time, and maybe ten more times after that, and the next thing you know it’s been two years and not so suddenly, it’s your sweater. I stole the technique for the steaks and purée from Ottolenghi, but I’ve made some modifications over time. And once you’ve tried it, you should modify it, too, because that’s a great way to turn my recipe into your recipe. And like sweaters, great recipes are meant to be passed along. At my house, we eat a lot of vegetables. I love plant-based recipes that make up a full and hearty meal. 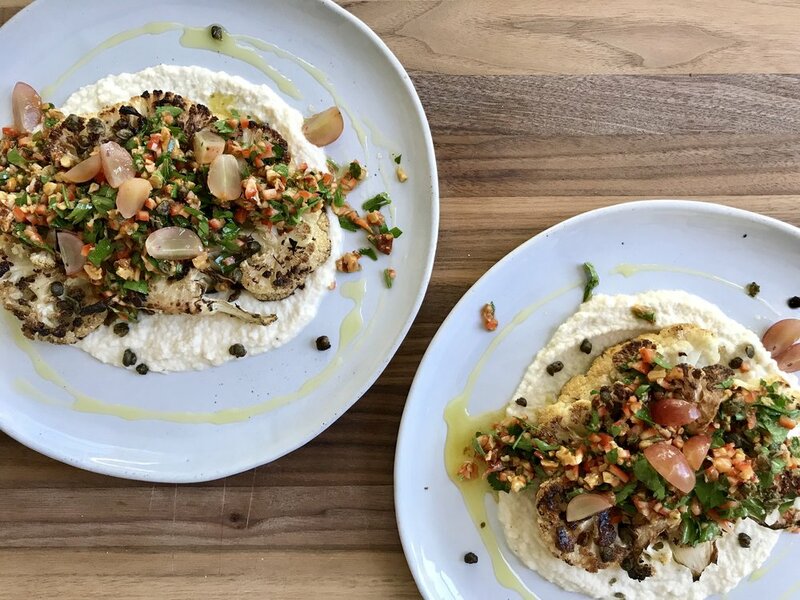 Ottolenghi is the king of serious vegetarian fare—see his 2010 book Plenty—and his original recipe feeds two, making great use of an entire head of cauliflower. The key is this: Play fast and loose with that purée. Every head of cauliflower is a different size, so your purée may end up too thick or thin, depending on how much veg you start with. If your purée is thick and chunky, thin it out with some water or stock. If it’s thin or oily, bulk it up with extra tahini, or more cauliflower, if you have it. 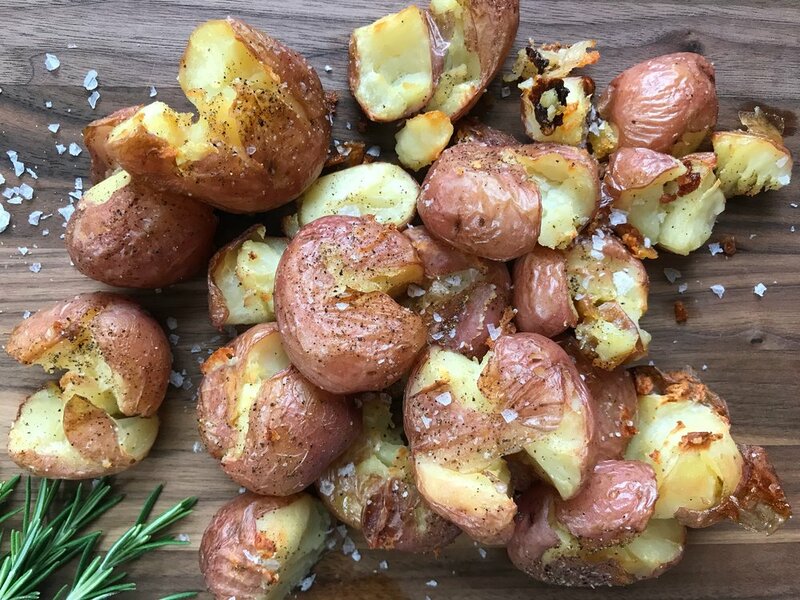 Likewise, add lemon juice and seasoning to taste—you want it to be a little bit bright, with rich, nutty undertones. Follow this recipe. It’ll make way more than you need—use the rest as cocktail snacks, or as a lovely martini garnish. Cut grapes into quarters and set aside. If you’re too lazy or rushed to make pickled grapes, you can use dried currants instead. Heat your oven to 400°F. Place a bunch of walnuts on a sheet pan and roast for 10 minutes, or until fragrant. Remove and let cool. Chop coarsely. Set up a plate lined with a dry paper towel. Heat a dollop of olive oil in a small frying pan on medium-high heat, until shimmering. 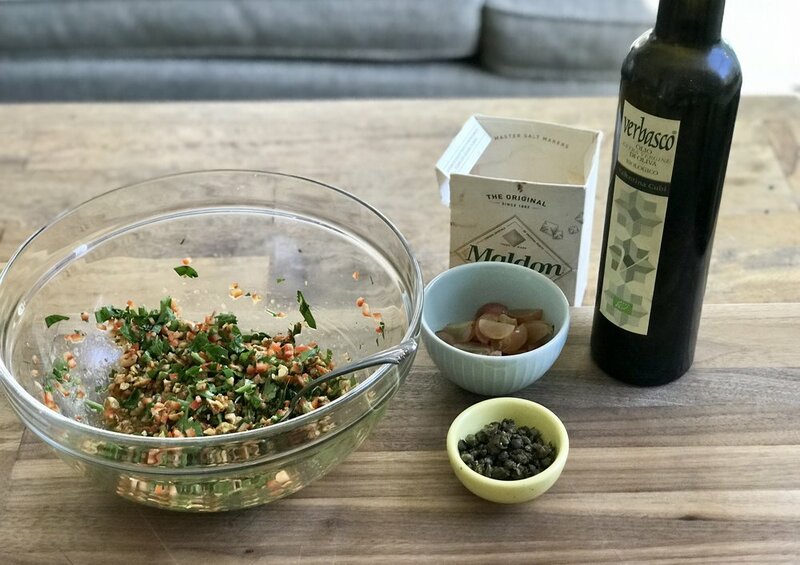 Toss all the capers in, and swirl for 2–4 minutes, or until they pop and turn golden-brown. Immediately remove from the heat and drain on paper towel. 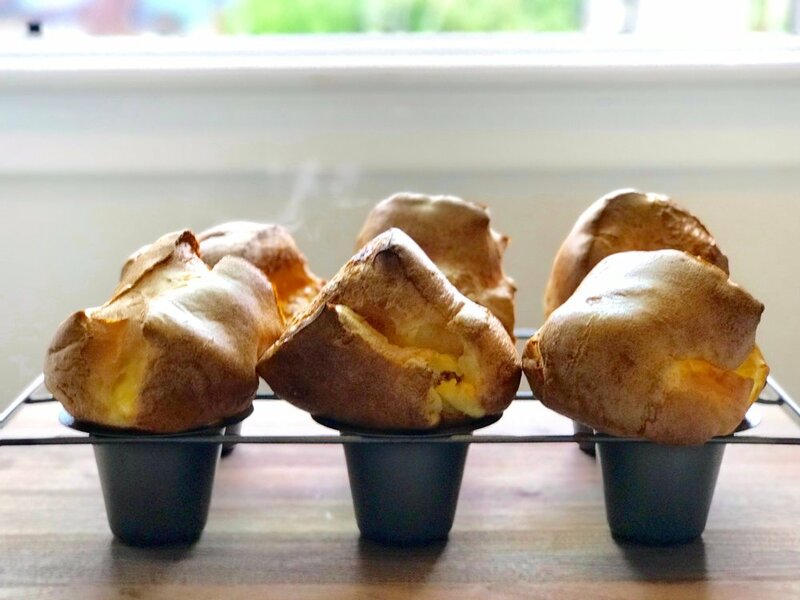 They will crisp up as they cool. Combine chopped parsley, chopped pepper, nuts, 1/4 cup olive oil, and lemon zest in a bowl. Mix; add salt and pepper to taste. The capers and grapes will stay separate for now. Place a whole head of cauliflower, flat side down, on a cutting board. Using a large, sharp knife, cut two 1- to 2-inch steaks from the middle of the head. Set aside. Bring a pot of lightly salted water to a boil on medium-high heat. Cut the leftover cauliflower (from the ends) into florets. Boil for 5–7 minutes, or until tender. Drain and let cool. Put the cooked cauliflower back into the empty pot and add tahini, lemon juice, 2 tbl olive oil, and about 1 tbl water or stock. Blend with an immersion blender until smooth. If it’s too thick or chunky, add more water or stock. Season with salt and pepper to taste. Set aside. In a large sautee pan over medium-high heat, melt a tablespoon of butter (or 1 tbl olive oil, if you prefer). Add fresh thyme sprigs and a few pieces of lemon peel. You could add a clove of crushed garlic here, too. When the pan is good and hot, add your steaks, and baste them with the butter like you would a regular steak. Sear 2–5 minutes per side, or until brown and crispy on the edges. Remove from heat. Place the steaks on a sheet pan, and roast for another 10–15 minutes, or until fork-tender in the center, where the woody stem is. As always, you can plate this however you want. If you want it to look like the pics, here are some instructions. Prep a plating station with the purée, salad, quartered pickled grapes, steaks, two large plates, a couple big spoons, your fanciest olive oil, and some salt and pepper. Make sure your purée is still warm. If it’s not, warm it up on low heat for a few minutes. Take a big spoon, and put a dollop of purée in the center of a large plate. Using the back of your spoon, spread it out into a nice circle. Repeat with the second plate. Place steaks in the center of your purée circles. Scoop the salad in a rough line over the top of your steaks, spilling out over the purée circle. Make sure you can still see those yummy roasty edges. Add some grape quarters and crispy capers here and there. Drizzle with a circle of fancy olive oil. (If your olive oil has a large opening, put your thumb over it to get that light drizzle effect.) Add some freshly ground pepper and a pinch of flaky salt. It’s easiest to eat with a steak knife. 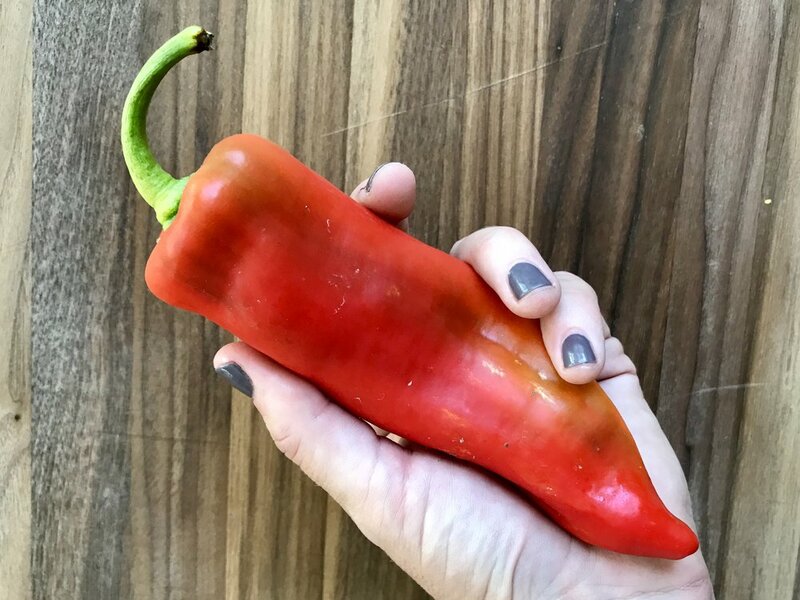 What is a red poblano pepper? Is it spicy? It looks like this! It’s not that spicy—it adds some beautiful color, a nice crunch, and a complex flavor that’s less spicy than a jalapeño. (There are green ones, too, that are more common.) In a pinch, you can definitely use a red or orange bell pepper instead. I’m not into walnuts—can I use something else? Yes. We think it’d be awesome with pistachios, or even peanuts? Help! My purée is dry and chunky! No worries, just keep adding liquid (water or stock) until it thins out. Then, add more lemon juice, tahini, or salt and pepper to boost the flavor back up. How far in advance can I make the salad? You can make it a day in advance; just don’t add the salt and pepper ’til the day of. I don’t love vegetarian dishes. This dish is so hearty and filling, you don’t miss the meat. It’s also easy enough to prepare that you could make the cauliflower steaks for your veg friends and a meat option for yourself and still use the same purée and salad. Any ideas for what to do with leftovers? Leftover purée: Goes great with roasted chicken thighs or seared steak. Warm in a pot over low heat, or with your sous vide at 140°F. You can also use it as the filling for a savory galette. Leftover grapes: So many options. Salads. Cheese plates. Cocktail garnish. Use your imagination! 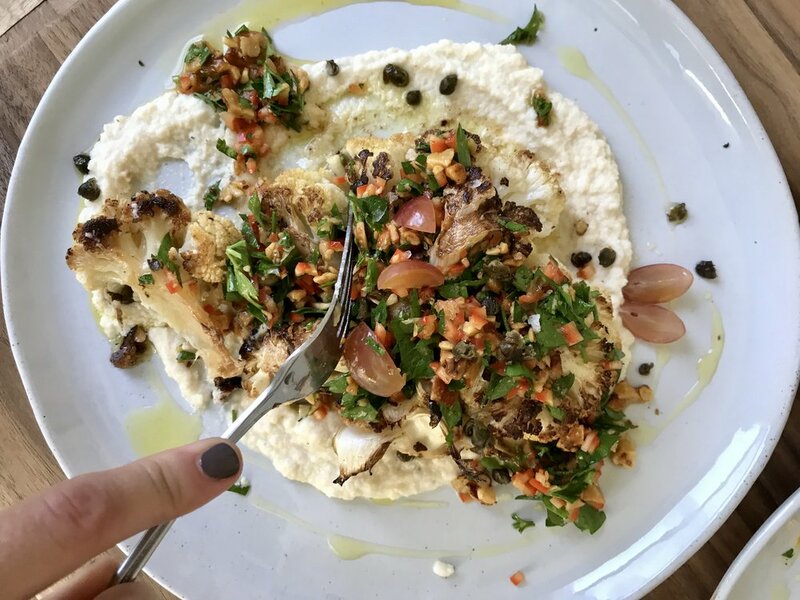 Leftover cauliflower steaks: Okay so, I think this dish would be delicious as a cold salad. Chop up your steaks into rough florets, and toss them in a bowl with the leftover parsley salad, if you have some. To serve, put some purée in the bottom of a bowl, and top with the cauliflower salad. Chyumm! You didn’t anticipate my question! Agh, sorry! DM us on Instagram @idratherbemeryl.